Properties in The Meadows at East St. Paul Golf Course average 4.1 out of 5 stars. Private Basement Suite In A Quiet, Centrally Located Neighbourhood! Property 1: Private Basement Suite In A Quiet, Centrally Located Neighbourhood! Property 2: New 2BDR 2BR Ultra modern Condo in Winnipeg's renowned... Osborne Village !! New modern 2 BDR 2 1/2 BR 1500sq/ft Luxury Condo in Osborne Village !!! Property 6: New modern 2 BDR 2 1/2 BR 1500sq/ft Luxury Condo in Osborne Village !!! 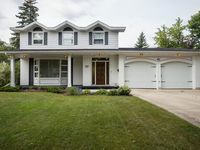 Spacious 3bedroom home near downtown Winnipeg and international airport. Property 17: Spacious 3bedroom home near downtown Winnipeg and international airport. Property 20: *Beauty* Oh so close to DwnTwn & Polo Park. Home! Property 22: A Modern Home 4 Work/Vacation 8-10 Guests Sleep. Property 24: This house is a 4 bedroom(s), 2 bathrooms, located in Winnipeg, MB. "Go Back in Time" and Relax at "The Red Nose Tavern". Property 31: "Go Back in Time" and Relax at "The Red Nose Tavern". Property 35: A private 3-Bedroom apartment unit of a duplex in the west end of the city . Home away from home. Everything you need to cook or just relax. Property 37: Home away from home. Everything you need to cook or just relax. 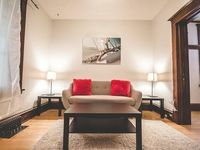 Property 44: A private 2-bedroom apartment unit in a duplex in the west end of the city . Very clean property. Definately would stay here again.